Welcome Home! 428 Basalt Court sits on a large, fully sodded lot in a cul-de-sac in the popular community of Caledonia. Located in lower taxed Anderson County, this basement home is a must see! 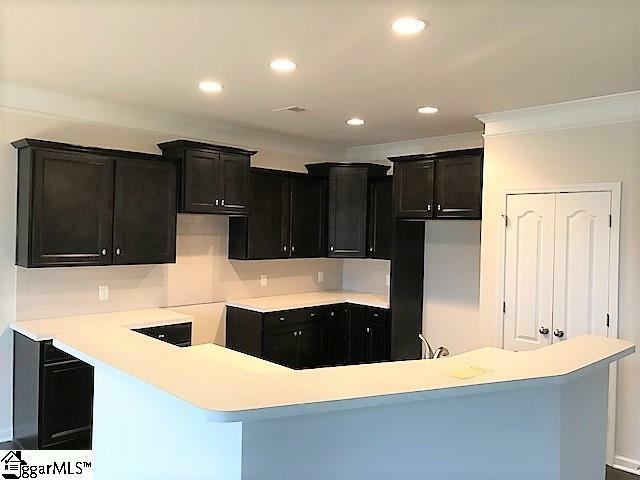 This Cypress plan is a 4-bedroom 3 bath home that offers lots of space with a modern design and luxury vinyl floors throughout! As you enter the foyer, you have a large dining room for both dining and gathering! 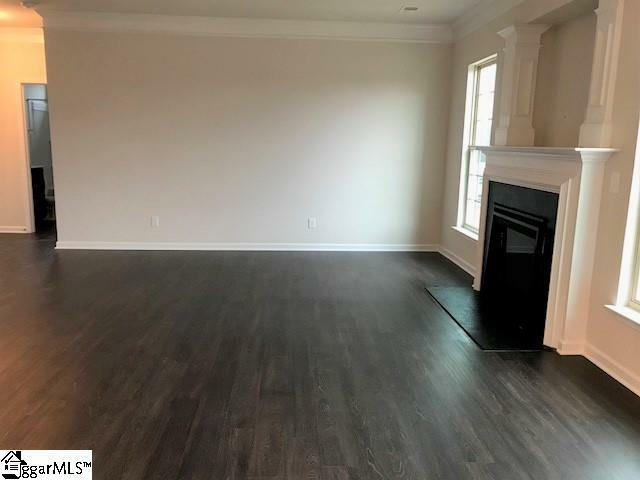 The wide foyer lends way to the open Great Room with gas fireplace and upgraded trim package throughout. Off of the Great room is a spacious breakfast area where you can enjoy your morning coffee. The Kitchen showcases subway tile backsplash, upgraded staggered maple cabinetry, and plenty of cabinets for storage. Tucked away from the Great Room, is a spacious guest bedroom with a full hall bath next to it. 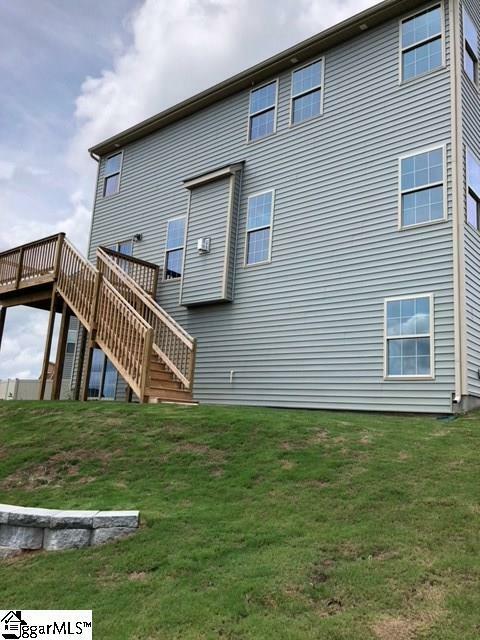 As you make way up the stairs, off to the right you will be greeted with a large loft area which makes a great recreational space or just a place to relax or hang out. The second floor features 3 bedrooms including the large Master Bedroom! The Master bedroom features a tray ceiling and several windows for natural light! The Master bath features a large walk-in closet, separate his and her sinks, luxury vinyl floors, separate soaking tub and a large shower. This un-finished walk-out basement home will offer the perfect hang out area for friends and family! With the deck and patio off the rear of the house, this home is made for entertaining! Caledonia is only 15 minutes to West End Greenville and less than 20 minutes to Main St. Greenville. 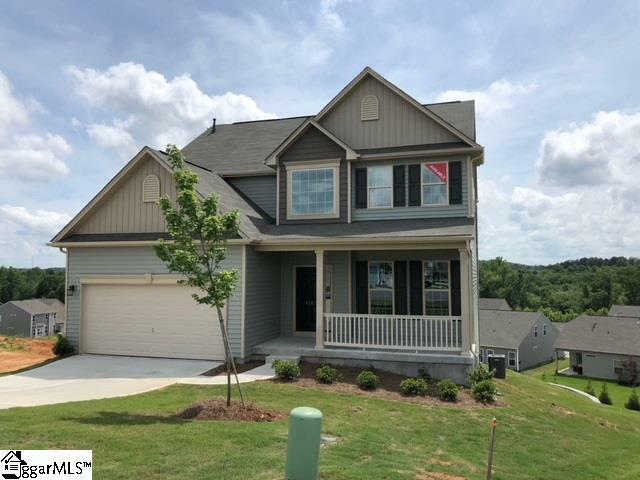 With sunset views over the hillside for a mountain feel, community pool, schools and the best home value in the area, Caledonia cannot be beaten!